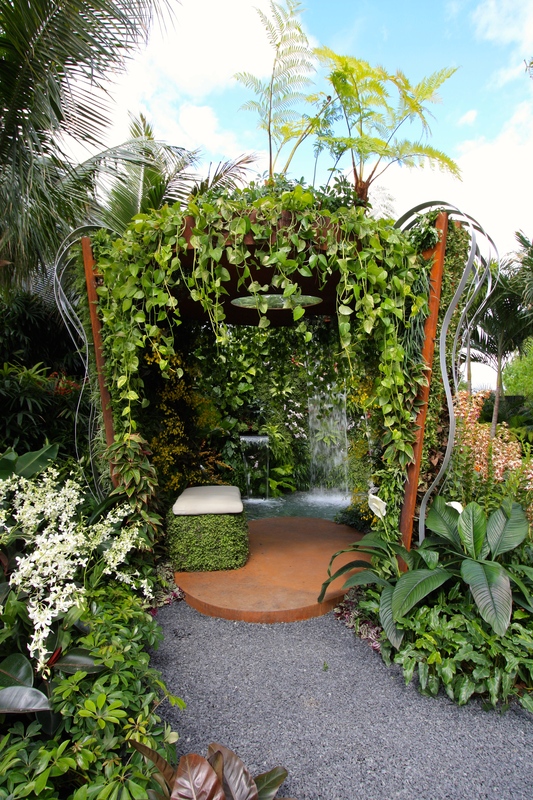 In 2005, Singapore announced plans to distinguish itself as a ‘City in a Garden’. The projects that followed, such as The Gardens by the Bay, have attracted global attention, rivalling our very own Eden Project in terms of scale and ambition. The city’s long established botanical gardens have always been one of my favourites, brimming with lush foliage and thousands of orchids. Singapore’s national flower is a pretty pink vanda named V. ‘Miss Joaquim’, so it seemed only fitting that Raymond Toh and John Tan, designers of the Hidden Beauty of Kranji garden at last week’s Chelsea Flower Show, should include this special orchid in their scheme. 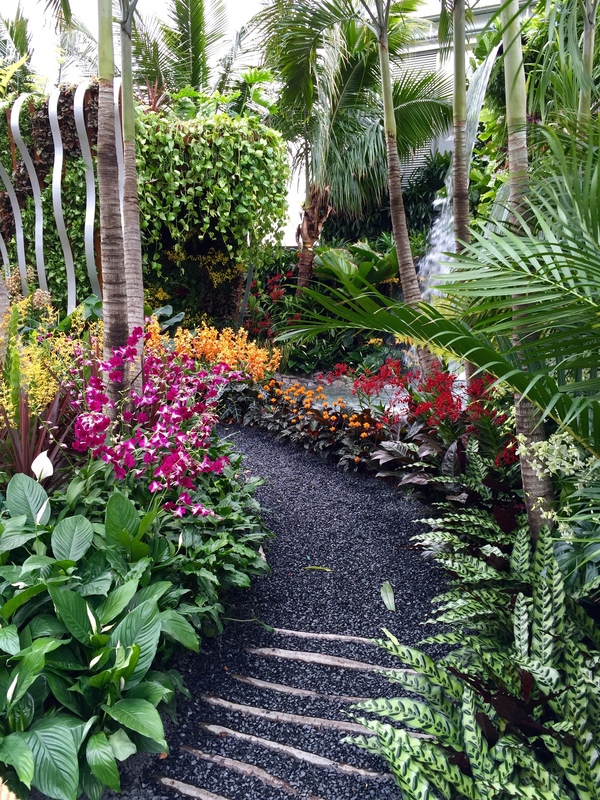 It’s not often that designers are brave enough to submit a garden with such a distinctly tropical theme and it did feel very much as if this garden ought to be under glass or in a fancy hotel atrium. There was little for the average gardener to take away in practical terms, but there was plenty of admiration for the distinguished design duo’s colourful composition. 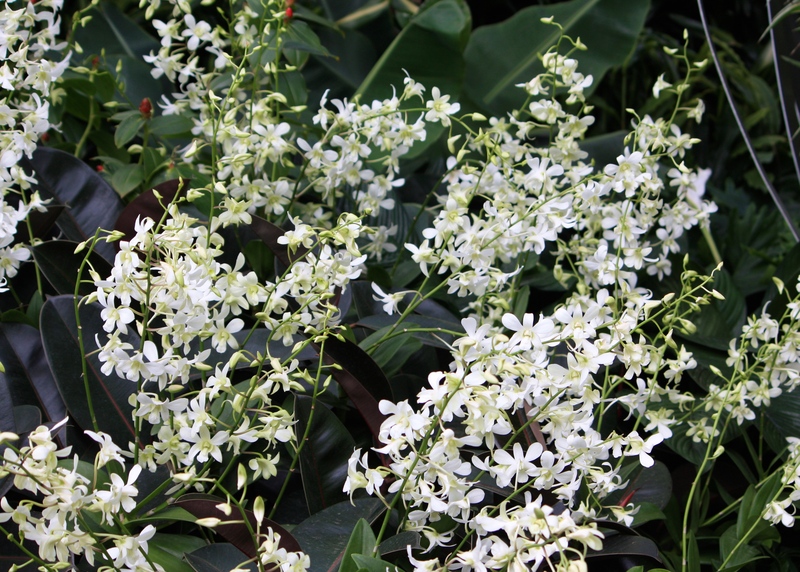 To plant palms and orchids outside in London during May takes some nerve and at night the entire garden had to be wrapped in a protective layer to keep out the cold. On the first day of the show the garden was taking a bashing from the wind and rain, but the bright colours never lost their sparkle. The contrast between this and the Laurent Perrier Chatsworth Garden, just a few yards away, was a dramatic one. 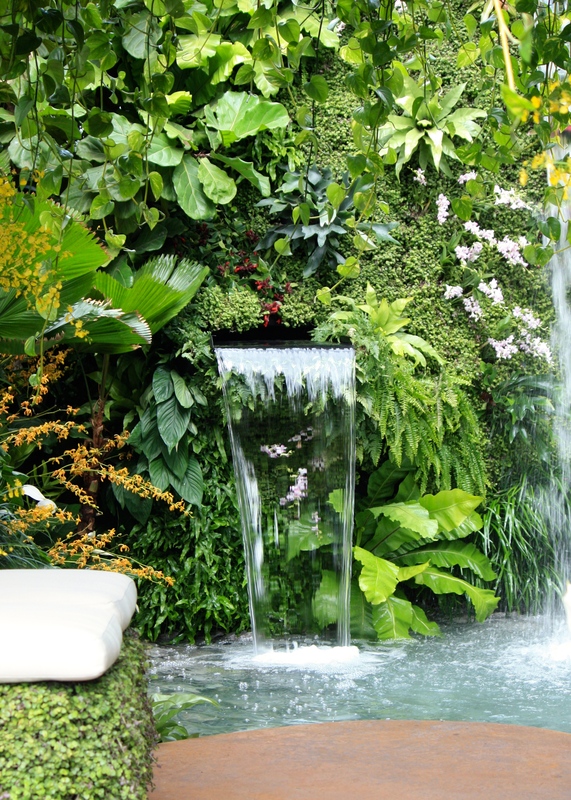 I particularly enjoyed the narrow waterfalls emerging from a wall of lush greenery. 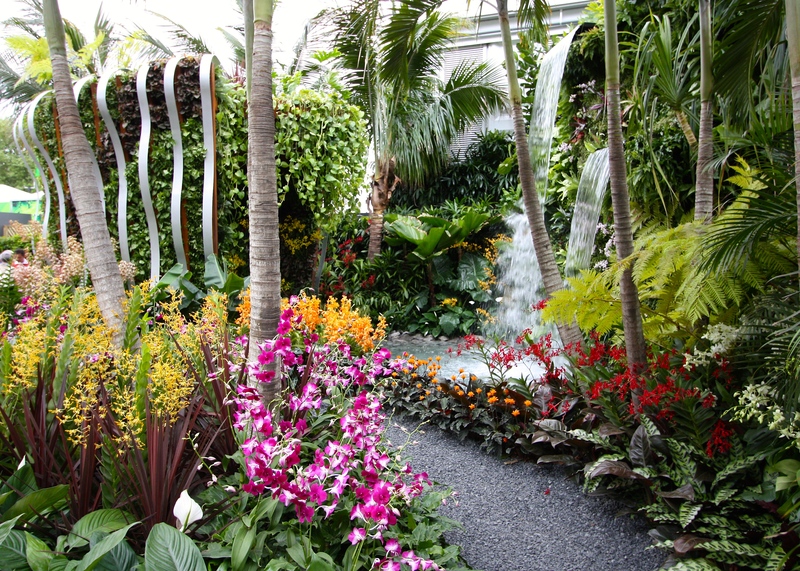 They were clearly inspired by The Gardens by the Bay (above, photographed in October 2012, shortly after it opened) and roared satisfyingly as they plunged into the foliage fringed pool below. A pavilion at the centre of the garden offered shade from the not-so-tropical sun. 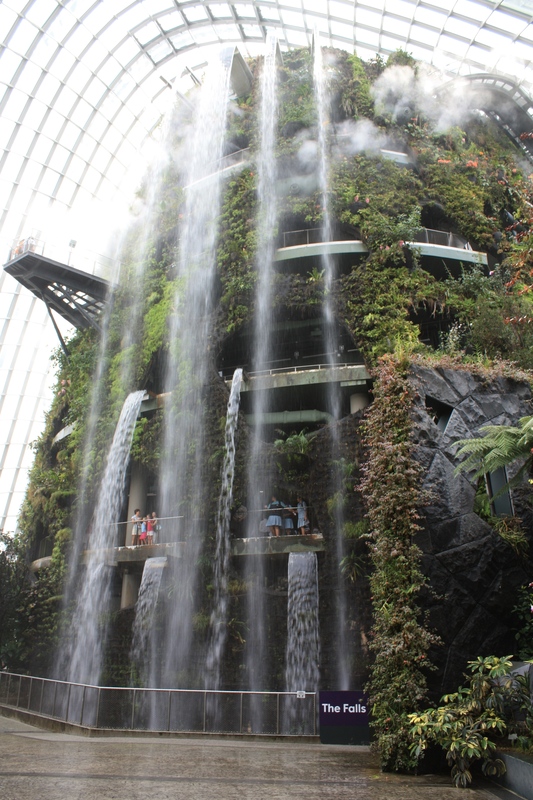 The roof was planted with creepers and tree ferns (Cyathea arborea), representing Singapore’s quest to increase the number of roof gardens and green walls around the city. 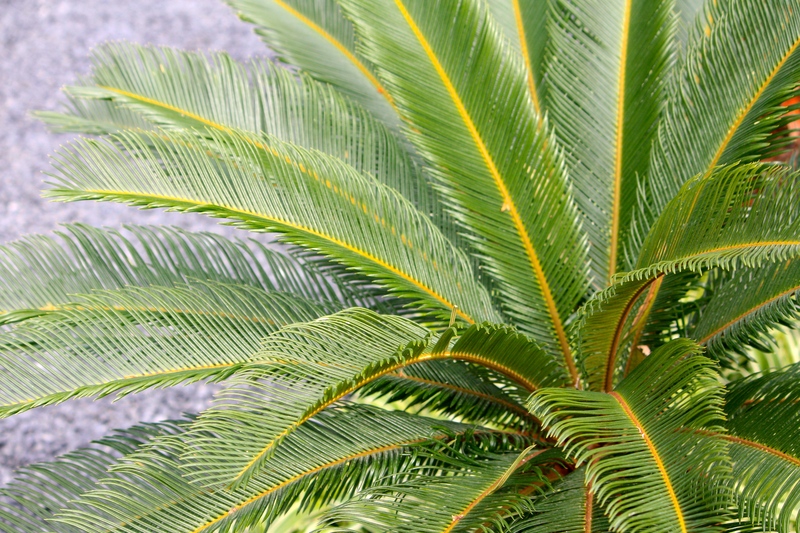 Kranji, the north western suburb after which the garden is named, is a low-rise, well-to-do neighbourhood with a horse racing circuit, organic farming collective and farmer’s market. All very middle-class. Great pride is taken in the city’s natural environment and this garden echoes the care and attention lavished on public spaces that I’ve experienced first hand each time I’ve visited Singapore.